Today, many homeowners are choosing a high efficiency gas furnace to deal with the rising cost of natural gas and propane. Others, while enjoying the energy savings, also want to produce fewer greenhouse gases. That’s a big part of why Del and Amy in Arlington Heights, Illinois chose the Amana AMVC95 – 95% AFUE gas furnace. 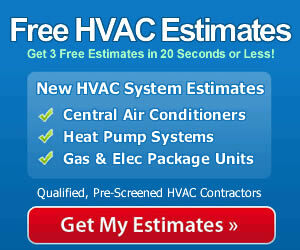 We’ve added their note to our HVAC prices database and you’ll find it below. “Greetings from Chicagoland! We should say upfront that we’re not as “green” as we’d like to be, but we are making changes where we can to use fewer non-renewable resources and produce less greenhouse gas. A simple way to do it for us was to have a whole-house energy audit done on our 2,200 s.f. two story and follow its recommendations. They included replacing windows, adding a layer of insulation to our attic and replacing our 15 y.o. gas furnace. Not only are we already seeing savings on our energy bill – meaning we’re using less fuel – we saved money with rebates and tax credits! We consulted several heating and cooling companies about the best furnace for our situation, and 2 out of the 4 suggested the Amana AMVC95. When we confirmed its reliability by doing some online research (that’s how we found newhvac.com, btw), we selected it and chose the less expensive contractor to install it (we checked him out, too).